From the 15th - 18th September, Vienna, the 'City of Music', will once again host the Longines Global Champions Tour and new Global Champions League for the 5th year in a row. The Austrian capital is a city famous for its imperial culture, architecture, musical history and beautiful palaces. Hosted in a new venue this year, Trabrennbahn Krieau will welcome the Tour for another round of thrilling action. Another jewel in the crown of glittering destinations which make up this showjumping series, Vienna is home to many high-profile organisations, including the United Nations and Vienna Philharmonic Orchestra. This centre of European music has been voted one the most world's most liveable cities and consistently ranks highly as a world centre of cultural innovation. 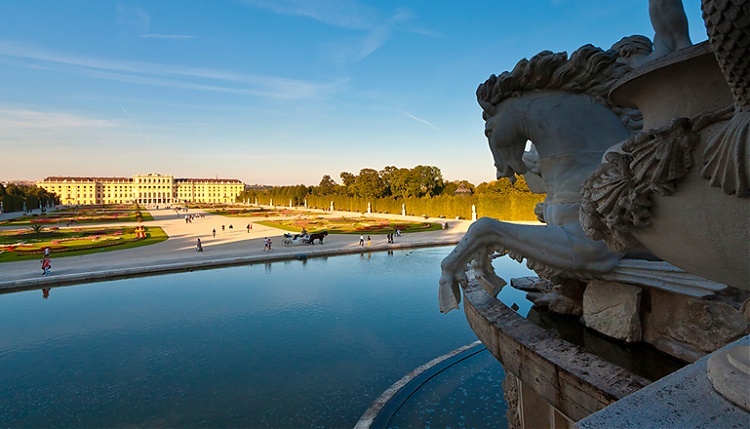 The city of Vienna has over 27 castles and more than 150 palaces, including Empress Sisi's baroque former summer residence, Schönbrunn Palace. Away from the excitement of the horse show, there are museums, exhibitions, architecture, amusement parks and the famous giant ferris wheel, Riesenrad.